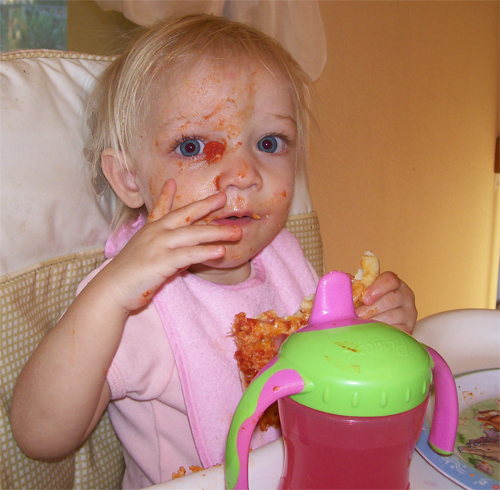 We let Kayla eat pizza by herself for the first time. Me (About 40 minutes later): I CAN'T F*CKING BELIEVE THIS CHEAP MOTHER F*CKER. I WISH I COULD FIND OUT WHERE HE LIVES SO I COULD DRIVE OVER THERE AND KICK HIS F*CKING *SS UP AND DOWN HIS BLOCK AND THEN RIP ALL OF HIS TOENAILS OFF ONE BY ONE. F*CK!!!!!!!!!!!!!!!!! Nicki looks at me as if I just won the lottery and decided to give it to Bill Gates. Me: He was using exploits! HE HAD OJ SIMPSON ON DEFENSE!!!!!!!! THAT'S NOT REAL! HE WAS ALSO SHIFTING HIS DEFENSIVE LINE IN AN UNREALISTIC WAY SO HE COULD SACK ME EVERY TIME! WAAAAAAAAAAAAAAAAAAAAAAAH. Moments later I realized what I'd become. So I took the game out of my XBOX, gave it to Nicki and told her to go hide it. The end. A dog that looks like baby Chewbacca.